Danish author Axel Sandemose was incredibly critical of Janteloven / Jantelagen, a term he coined in his 1933 fictional critique of Scandinavian integration, En Flytning Krysser Sitt Spor (“A fugitive crosses his tracks”). From a pro-inequality perspective, Jantelagen is a cultural reflex that seems to threaten to stifle our beloved “Great Men” (read: our own impression of ourselves). Yet, obviously, the small Scandinavian countries have a long, vast history of high economic, scientific, political, militaristic, education, environmental, and cultural exploration, innovation, achievement, and integration. Moreover, the critique of Jantelagen is Scandinavian. Therefore, it must be recognized as a self-reflexive narrative. Centered on the exceptional perspective, the frustration and outrage experienced by a self-described genius immigrant at what he sees as inferior Scandinavians’ failure to extend credit, cooperation, and deference to him, the critique of Jantelagen itself is part of Jantelagen culture–a cultural system of rigorously checking people’s narcissistic pretensions to monopolize power. It is a reminder to a people indisposed to deference to leave some social space for extending credit and cooperation to newcomers. And what exercise is more appropriate in such a frenetically self-aggrandizing yet deeply social species of Great Ape? Although it’s always annoying to have to deal with criticism, I very much doubt Jantelagen culture is stifling in the long haul. Look at Jantelagen’s opposite–high-inequality, narcissistic Anglo-American culture, where elites enjoy absolute liberty to draw boundaries, delegate their agency, make and break rules and set the agenda, and are never compelled to confront and handle the idea that their interests might have sent society way off track, socially, ecologically, economically, and politically. Now there is social, political and economic rot. In the context of a social species, a systematic lack of accountability is stifling, and crippling. Criticism isn’t stifling, beyond the immediate shame response. What can be overdone if not exercised in moderation, and is certainly not rare in high-inequality Anglo-American societies, is shame. The English-language Wikipedia entry treats Jantelagen as a threat to the Ayn Randian Anglo-American cultural ideal of the “Great Man” of business, because Anglo-Americans are centrally concerned with the deference “due” to the capitalist class, the exception centered. However, Jantelagen is actually about how Scandinavians respond to the autistic introduction of foreign culture by outsiders and newcomers who are prone to naturalize and decontextualize the “superiority” of their native “common sense,” culture, sacralized network, or technical patrimony. Sandemose’s critique is excessive, inadequately reflexive, particularly when taken as something other than a marginal corrective to anti-deferential culture. It is another case of the excessive centering of exception justice in inegalitarian capitalism. In fact, incorporating new, non-acculturated members (whether immigrant or youth) is a real problem, is not automatic–For society is the ongoing culmination of class and other conflicts, the exchange of information, ideas, and grievances, per Rousseau (1762) and Dewey (1916). When newcomers are introduced, organized factions can use them as a sort of naive “shock troops,” to antidemocratically undermine the accumulated social contract hard-won in a region. In this respect, Jantelagen refutes the naive approach that fails to see society in social terms, but only in market terms, eg. immigrants as merely new workers or new sources of wealth, or bringers of new techniques; or, in idealist philosophy’s under-conceptualization of change, youth as the fresh consumer model, superficially unspoiled by a lifetime of delegated, self-abnegating decisions. Idealist philosophy has an impoverished conceptualization of change, as simply the altered structure imparted by the intercession of a divine exception. A kind of newcomer, youth are fetishized in advertising because their vitality is not the result of good decisions over time and in social and ecological context. They perpetuate the immemorial elite fiction of pleasure as atopic, consequenceless, absolute, the strict result of a divine or natural endowment of excellence (beauty). Jantelagen’s approach, while risking failure to extend cooperation and credit to newcomers–who are admittedly already under-resourced or overburdened, forces perhaps the most crucial responsibility of democratic development (per Dewey 1916): Requiring social, historical awareness and learning, where the newcomer would be inclined to tune out the society, fitting them to be used as the delegated agency of–as an economic or political pawn by–opportunistic, privileged factions within the society. That is, Jantelagen demands that new members of society recognize that society is a social production with a material and cultural history. Why the hell not? That recognition requirement is not cripplingly burdensome, but enabling. 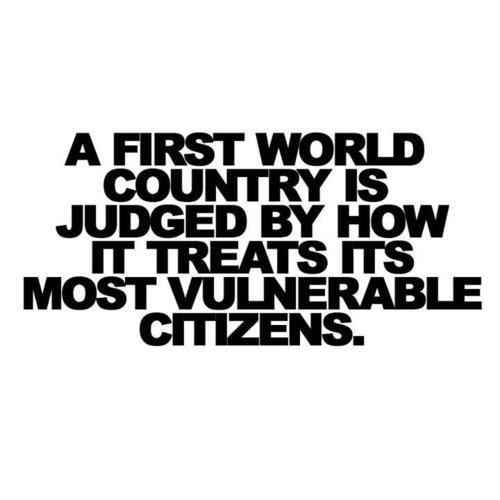 It allows newcomers to develop their own sovereign agency in the society. It can be relayed with education, as well as through organizations. In a substantive democracy, such recognition and education must be the condition for receiving credit, cooperation, and citizenship beyond basic needs and negative rights. What is cosmopolitanism, as we currently understand it? It’s self-celebratory accumulator-class parochialism hiding behind a peasant’s skirts. Jantelagen, inclusive of its cautionary self-critique, is much more sociologically-grounded, inclusive justice, politically uniting the 99%. The relative weakness of 99% internationalism is that it has a harder time securing patronage. Anglo-American naive narcissism makes for an easy marketing environment, to be sure; but the Scandinavians manage to consume a lot in their own way. Pay attention to their motivator: public life. They get ideas for how to consume by walking around in the streets, looking at each other, and by dropping in their local design shops. Durkheim’s work on solidarity produces the Goldilocks principle: There’s a “just right” level of social accountability that results in diminished anomie. By comparison, the social democratic society, per Pasi Sahlberg, distinguishes and privileges low-inequality, lateral relations of responsibility rather than the servant relations of accountability that predominate in conservative and liberal societies. While both are about social integration, responsibility permits widespread human development; accountability permits top-down control. Compare & contrast Durkheim’s Goldilocks theory of accountability with Carl Schmitt’s theory on The Enemy (1932), an impermissible type of Exception. Per Agamben’s (2005) critical analysis, in the overly-controlling, authoritarian regime that conservative legal theoretician Schmitt favors, there is low tolerance for deviance, and it’s the state’s job to destroy people who diverge from the strictly-policed, rigid norms within the nation-state territory. Genocide is the population-regulation business of the state. Conservative Schmittian, genocidal extreme-integration theory emerges out of the “crisis” experience of Germanic territories struggling to reorganize and catch up to Anglo capitalism in the wake of the collapse of 19th century absolutism and empires; but well-fit for militarized societies, it has also been extended and adopted into the legal systems of neoliberalizing imperial societies such as the 20th-21st century US, and it extends as well to invasive colonial regimes that cannot tolerate pre-existing ways of life and modes of production, and the people and cultures who carry them or their memory. Because they require discipline and performance out of their lowest ranks, militarized societies do not jettison human development in favor of elite Excellence and meritocracy, as less-militarized conservative and capitalist liberal societies do; but in militarized societies, human development is managed strictly within the constraints of absolute inegalitarianism. Lower-order life is developed only to the point that it is efficient to manage. By contrast, socialist-influenced societies privilege universal human development in contextual balance over time, per philosophical materialism. This kind of developmentalism requires a distinctive network of built institutions and cultures. Consider the social democratic lagom ideal: Egalitarian solidarity is recognized as a crucial achievement of social democratic social order requiring coordinated reproduction, especially as it clashes with the inegalitarian capitalist context. However, socialism-backed social democracy is not maintained with belligerent rigidity as is capitalist conservatism. In social democracies, the Jantelagen critique culturally polices and limits the culture of solidarity to integrate difference and flex social boundaries. The Jantelagen critique is a fable that reminds Nordic social democrats to provide some accommodation for very prideful, different individuals, because even destroyers may contribute to society. After all, sometimes social relations, institutions, policies, and practices need to be destroyed to make room for improvement. The Jantelagen fable is functionally related to (it’s a more resentful, less fun version of) the role of tricksters, such as Loki, in a society’s cosmology. Of course, not all destruction is needed to make room for improvement. Recall Deweyian education for democratic development and Rousseauian General Will theories, as they theorize, contra Hobbes, how to reproduce democratic societies, as for example by institutionalizing in education democratic exchanges of information, ideas, and grievances. How do we reproduce democratic achievements, where one or more conservatives prefer to trash them and erect a warlord order in their place? For example, in 2011 sociopathic mass-murderer Anders Breivik (who changed his name to Fjotolf Hansen, as his extremely-destructive actions crushed his father) slaughtered 69 children at a camp and 8 adults, in an effort to take advantage of and break the social democratic solidarity-Jantelagen balance. 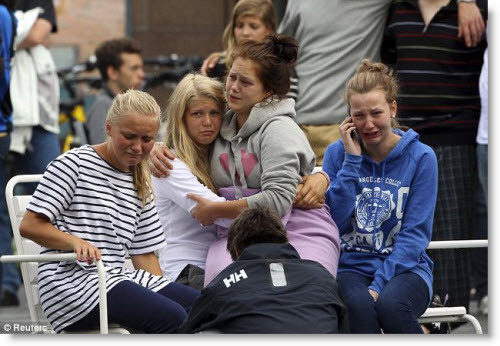 Breivik/Fjotolf wanted to install instead a more intolerant, anti-solidaristic, inegalitarian conservative social order. Because not all destruction is needed or beneficial, societies require protections for accumulated social achievements. 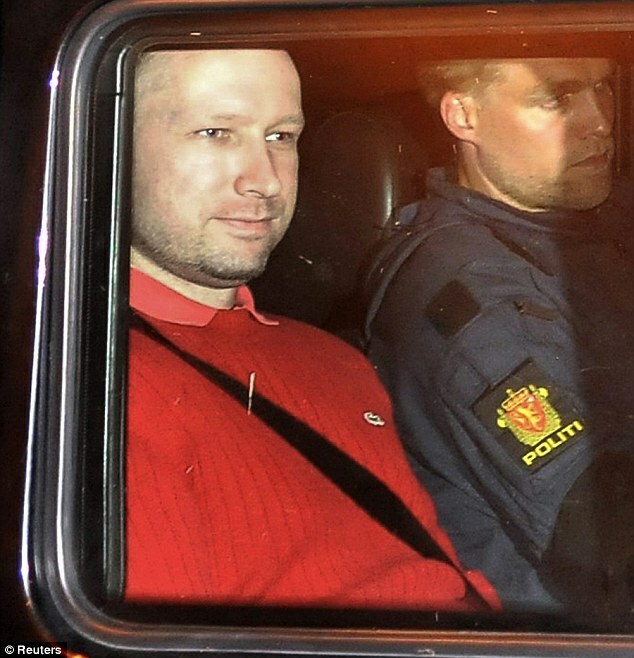 In Norway, the protective measure was to imprison Breivik/Fjotolf as long as he maintained his sociopathic conviction that the democratic accumulation of social democratic achievements, and the people whose dispositions reproduce those achievements, must be destroyed. In effect, in a social democracy, an implementing (but not theorizing) Carl Schmitt has to be imprisoned. Another option that some societies have pursued is to export to a more consanguine society their members who want to destroy and replace the social order. Socialist Cuba, for example, allowed Cubans committed to conservatism to emigrate and build a new, 100% conservative Florida community within the conservative-liberal, inegalitarian US. A third option that other societies with lots of territory have pursued is to export intransigent members to labor in a remote region, as when the Soviet Union sent dissidents to work in Siberia, or when the conservative-liberal British Empire sent its criminalized working class men to labor in its far-off Australian colony. As Durkheim demonstrated, humans need society. But what kind–how integrated? No matter what kind of society, it has to have boundaries. However, as we see above, “boundaries” can range from the genocidal law and policy of the imperial state to a social democratic state that both preserves a positive-status “trickster” role for the dissident and incarcerates individuals when they assume the powers of a genocidal imperial state. I had a little chat with the dean of the law school at the university I sort of work at. Back at the beginning of the year, when I had been offered a research position that paid a modest wage (as opposed to the poverty wages I was being paid to teach as a sessional (or adjunct)), the university’s provost office and human resources tried to use my immigration status to block my attempted move out of the poverty ghetto into decent work within the university. I contact the dean of the law school because she and I are both involved in a local feminist organization. She is very nice, but she didn’t help me much at the time. Yesterday, she told me why. She said that she could understand the university’s efforts to block my labor mobility because administration needed to clamp down on employees’ freewheeling moves into new work areas within the university. “We need to protect the collective bargain,” she told me. When politely pressed, she couldn’t clarify. The dean of the law school was being irrational. First, the collective agreement covering research associates does not forbid people who have been employed as temporary labor outside the collective agreement from obtaining higher quality work within the university. Consequently, the university was not trying to claim that I was violating the collective bargain in attempting to move out of no-skill, poverty-wage sessional labor into a modestly-paid research associate position. The university was explicitly refusing to recognize that my immigration status permitted me to move out of no-skill, poverty-wage sessional labor. The university’s refusal to recognize the labor mobility rights conferred by my immigration status was in direct contradiction to the view of the national immigration authorities I consulted with. This is something I could have hired a lawyer to pursue. Second, why should labor mobility be conceived primarily as an inconvenience to administrators, where the labor mobility serves to move highly-skilled personnel out of low-skill, nearly-unpaid labor (sessional/adjunct labor) that creates hardship for the employee and her family (and spillover hardship for her neighborhood, community, etc.) into skilled work that pays a modest wage (not even a fraction of administrators’ salaries)? Why should administrators oppose skills-optimizing labor mobility? For an explanation, see below. For now, suffice it to say that in a rapacious neoliberal environment, academics in administrative positions a) feel entitled to monopoly control of the distribution of jobs (which confers upon them the protection and power of a fealty network), in concert with b) having to maintain egregious cognitive dissonance and irrationality in order to superexploit academic labor. This identity-protecting cognitive dissonance and irrationality is what turns critical thinkers into efficient liberal managers. Furthermore, feminists in administration simply facilitate this exploitation efficiency. Feminists facilitate efficient neoliberal culture and practices because 1) feminists conceive of their identity as a priori liberatory, and 2) feminism (excepting socialist feminism) has no stable critique of exploitation outside of intimate gender relations. In macropolitical terms, the erosion of tenure and shared governance undermines the power of a large body of liberal professionals. In this it resembles the campaign against teachers unions. Tenure, in fact, is a lot like unionization (MF: Though it takes 20 years of work on average to earn tenure.) : imperfect, open to corruption and abuse, but incomparably better than the alternative. Indeed, tenure is what professors have instead of unions (at least at private universities, where they’re banned by law from organizing). As for shared governance, it is nothing other than one of the longest-standing goals of the left: employee control of the workplace. Yes, professors have it better than a lot of other workers, including a lot of others in the academy. But the answer, for the less advantaged, is to organize against the employers who’ve created the situation, not drag down the relatively privileged workers who aren’t yet suffering as badly: to level up, in other words, not down. Alternative: Dougald’s University Project. Dougald’s one of the folks I know who takes being an intellectual and an agent seriously. So on the way back from Amsterdam I decided to read Bhaskar’s “Plato Etc.” because compelling issues around the philosophy of science came up around the “Nature Inc.” conference (Should we oppose science and advocate for situated, sensory-based knowledge because with increasing inequality the institutions that are needed to widen science’s social networks of goal-setting and accountability are being killed off, and therefore science is only operating as a handmaiden of concentrated power? ), and because there were only two Bhaskar books in the Amsterdam bookstore I was loafing around in. My decision emerged from balancing attempting to figure out where the bathroom was (They wouldn’t even let me pee in their bathroom after buying a $40 softcover book. ), and reasoning that if I was going to review the philosophy of science, I’m not going to waste time with anti-Marxist junk at this point when there’s perfectly good consanguine work out there. I’m just using philosophy to keep my sociology and ethics reasonable. “Plato Etc.” is a nice overview of philosophy from Bhaskar’s “dialectical critical realist” perspective (realist = things exist). Bhaskar usually writes much more comprehensibly than say, for example, his expert introducer, and the chapters are sincerely things you (by which I mean “I”) want to review. For example, 1) an overview of the self-imposed “paradox” problems of the Western philosophic tradition, related to 2) the “Actualist” preoccupation permeating and crippling the Western philosophy of science, as well as chapters on 3) reference, truth, meaning and the linguistic turn, 4) causality & change, 5) social agency, 6) dialectic, 7) living well, freedom, ethics, and economics, 8) dialectical critical realism (Bhaskar’s thing), and an appendix on philosophies as social ideologies. Chapter 2 summary: The upshot comes on p. 26. Bhaskar explains that acknowledging referential detachment (a world outside our mind) characterized by ontological stratification (assessed systematically in scientific modeling) distinguishes alethic truth from truth propositions. He’s saying science does something unique, more realistic, and structurally opposed to tradition and authority, compared to forwarding truth propositions backed by belief; understanding that a deeper level of relations exist–and what those are like, science (like everyday practical activity) assumes we act on something outside ourselves, which we can do. For Bhaskar, scientific ontological depth or ontological stratification (a truth claim on a thing/relationship based on its subsumption within a larger model of causation that has been shown to be falsifiable) allows us to sustain the transfactuality of laws in a complex world, to infer tendencies in extra-experimental contexts. Ontological stratification thus solves the Humean problem of induction (things and relations change). This quote shows that Bhaskar finds a “primal squeeze” (squeezing out other understandings) along the Platonic/Aristotelian fault line, which I think is about Western thinking about truth, being and knowing having gotten stuck in the realm of the “actual”, where the domain of the real (what exists in the universe over time) is larger than the domain of the actual (what exists in the universe at this moment) is larger than the domain of the empirical (what we find existing in our world) (23). Bhaskar locates the erasure of ontology in the Western philosophical tradition originating with Kant. Kant conflated transcendental arguments (such as are based in empirical comparison and used in conjunction with historical instances in Marx’s comparative method) and transcendental idealism, giving rise to the Western rejection of ontology in favor of epistemology–or more accurately, creating a split between practical everyday behavior and physical sciences on the one hand (implicitly accepting ontology) and the humanities and social sciences on the other (retreating to epistemology). “The first step in revindicating ontology is to appreciate that (a) philosophical ontology need not be dogmatic and transcendent, but may be conditional and immanent, taking as its subject matter not a world apart from that investigated by the sciences and other disciplines (a Platonic or Leibnizian noumenal realm), but just that world considered from the point of view of what can be established about it from conditional a priori or transcendental argument” (Bhaskar 2010 (1994): 47). In Lacan’s model, self-alienation (mirror stage) is essential to human psychology, and is the source of idealism, libidinal dynamism, sociality, and language. Humans are so reliant on linguistic and social versions of ‘reality’ that the eruption of materiality (of the real) into our lives is radically disruptive. And yet, the real is the rock against which all of our artificial linguistic and social structures necessarily fail. This tension between the real and our social laws, meanings, conventions, desires, etc. determines our psychosexual lives. Under what social conditions would we expect the rise of refusal to acknowledge and use human capacities to feel the real, the radically-disruptive, the ontological realms beyond social versions of reality? Or, perhaps a much easier task, under what rare social conditions would we expect the rise of acknowledgement and use of human capacities to feel the real, the radically-disruptive, the ontological realms beyond social versions of reality?